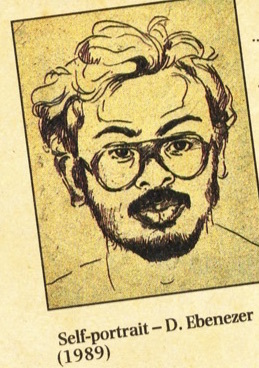 Born into a Christian family in Palayamkottai, Tamil Nadu, Ebenezer Sunder Singh went on to complete his Diploma in Fine Arts from the Government College of Fine Arts, Chennai in 1989. The State Government Student Excellence Award and Lalit Kala Akademi's research grant paved the way for Ebenezer to earn a Charles Wallace scholarship to the UK in 1999 and Fulbright Scholarship to the USA in 2003. After earning his MFA from the University College of Art and Design, Massachusetts, the USA, in 2009, Ebenezer presently lives in Brooklyn, New York, and continues his art practice between India and the US. This module presents Ebenezer's drawings, photos, paintings, sculptures, watercolours, and the critical engagements with his works.